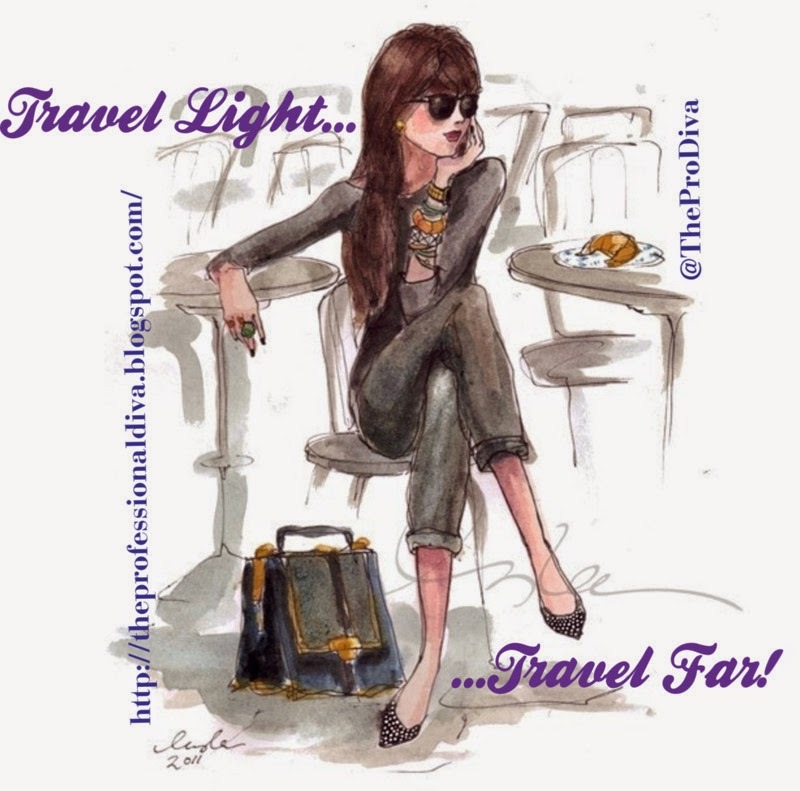 THE MARTINI CHRONICLES: Travel Light, Travel Far! Quick story...back when I was in law school and actively seeking employment after graduation, I decided to attend a networking event sponsored by a local bar association. The networking event, a meet-and-greet happy hour, was scheduled to last for about an hour and a half and was free. Following the happy hour, however, was an awards banquet that costed $150 per person. Being that I was an unemployed law student, the banquet was not an option...the free happy hour would have to do! I reached out to a few of my law school girlfriends to see who was game to attend the happy hour. After three of my girls declined, I decided to attend the event alone...by myself...yikes! The event was great and I made a couple of connections, one of which was an attorney at a top tier law firm. It turns out that this attorney had an extra ticket to the banquet; her law firm purchased a table, and there was a seat that had not been filled. Guess who ended up at the banquet after all...me! So what's the moral of this story? I realized two things at the very moment that I was offered the ticket. First, I knew that I would not have taken the ticket if I had gone to the event with my girls. After all, it would not have been cool to ditch them to go to the banquet. Second, I realized that traveling light (without a group) sometimes helps you to travel far (to the banquet). Now, I can't take credit for the phrase "travel light, travel far"...Wendy Williams would always say it on her radio show, and it somehow stuck with me. The truth is that in business and in your personal life, you sometimes have to venture out or stand on your own to make things happen. Don't use the comfort of a group as a crutch...be okay going at it alone. This post speaks to me....I used to always want to travel with my girls everywhere...because I'm a little shy and they were my comfort shield. Sometimes I felt out of place, so I needed them, but I came out of that and started going to networking events by myself about 2yrs ago. Good for you! In instances like this, there's absolutely no harm in relying on yourself. Sometimes it's better to venture out alone even if you have another participant willing to go with you. Be brave and do you!